Dr. Ellis is the William B. Taylor Professor and Associate Chair in the Department of Dermatology at the University of Michigan Medical School, Ann Arbor, MI. 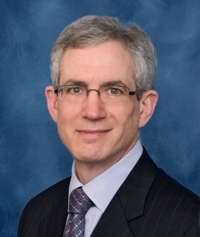 He is Service Chief of the Department, Director of its Residency Training Program, and Chief of the Dermatology Service at the Ann Arbor Veterans Affairs Health System. Dr. Ellis received his medical degree from the University of Michigan Medical School and was awarded the Dean’s Award for Research. He served his residency in the University’s Department of Dermatology and is a diplomat of the American Board of Dermatology. Dr. Ellis has been named one of the “Best Doctors in America” each year since 1994, is listed in the Guide to Top Doctors and Guide to America’s Top Physicians, and in the University of Michigan Health System, has been recognized as a “doctor’s doctor”. In addition, he has received the University of Michigan H. R. Johnson Award for Leadership in Diversity, and the Director’s Award at the Ann Arbor Veterans Affairs Health System. Dr. Ellis has published more than 250 journal articles and book chapters. A citation analysis found him to be among the dozen most-referenced dermatologists in the world. His papers in dermatology journals were cited 2009 times in a 14-year period. In the 1980s, Dr. Ellis was among the first to use and publish on oral retinoid therapy of psoriasis, oral and topical retinoid therapy of lichen planus, and topical retinoid treatment of photoaged skin. His publications showing that ultraviolet damage to skin could be reversed were pivotal in the development of a wide range of therapies for aging skin, both medical and with devices such as lasers. In the mid-80s, he was first-author in JAMA on the use of oral cyclosporine for psoriasis with the first double-blind study, and followed this with a more detailed report in the New England Journal of Medicine in 1991. This work transformed the entire therapeutic approach to psoriasis and was the forerunner to the revolution in developing immunologic treatments of many dermatologic disorders. In 2001, he was the primary author of the first study of a biologic for treating psoriasis, which was published in the New England Journal of Medicine. Dr. Ellis has held a number of visiting professorships and has served on the editorial boards of several journals including the Journal of the American Academy of Dermatology.